These consist of a study morning covering various topics In addition the afternoon will allow candidates to deliver a first aid session of their choice and so have their training evaluated in accordance with the current HSE guidelines. Anyone who delivers First Aid training. 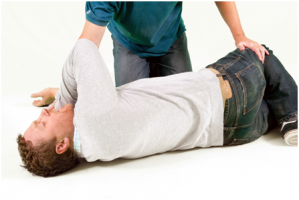 All current First Aid Instructors must have their training evaluated annually. A certificate of attendance and written feedback on the session is provided for your CPD records. This course is available at your location for groups of up to 10 delegates from £650.00 + vat. Individuals can attend our open course dates. The focus subject and date can be chosen by you. Dates below in Birmingham, London, Manchester & Warminster for individuals. In addition the afternoon will allow candidates to deliver a first aid session of their choice and so have their training evaluated in accordance with the current HSEguidelines. Would you like more info on our study days? If you need any help or have any questions regarding these study days, you can call us on 01985 843100 for a chat. Alternatively, drop us an email info@aid-training.co.uk and we will get in touch.